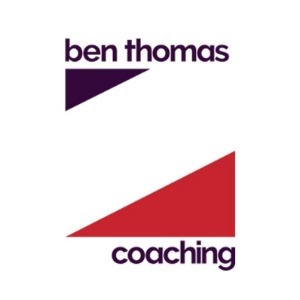 Ben Thomas Coaching was started to help up and coming athletes reach their full potential. Ben has vast experience across many disciplines of cycle racing representing GB at the UCI World Marathon Championships for the past 6 years. Ben is ideally placed to not only offer coaching experience but also race strategy and support expertise. Ben is a 2 time National Champion and is one of the UK’s most experienced mountain bike racers. When Ben’s not racing he’s running his coaching business from home in the UK. With an ability to race inside the top 10 at the highest-level races Ben has trusted coaching knowledge which he’s been using to train clients since 2015. Ben is ideally placed to personally review athletes training data identifying Strengths and Weakness to enable the next training block to be specific and targeted to enable athlete development. Ben works with a number of different coaching methodologies so there is always a right approach for every type of coaching requirement. He’s a source of information and inspiration for elite riders and amateurs alike. Silver £60pm, Gold £85pm, and Platinum £125pm with increasing levels of features, revisions, and communication. Ben aims to provide a motivational platform for you to achieve your best, whether that’s as an elite athlete, on the local club run, or chasing KOM’s. Ben offer’s coaching for all levels and cycling disciplines – sportive, time trial, road and mountain bike. Success. Coach Ben Thomas has been notified of your message.